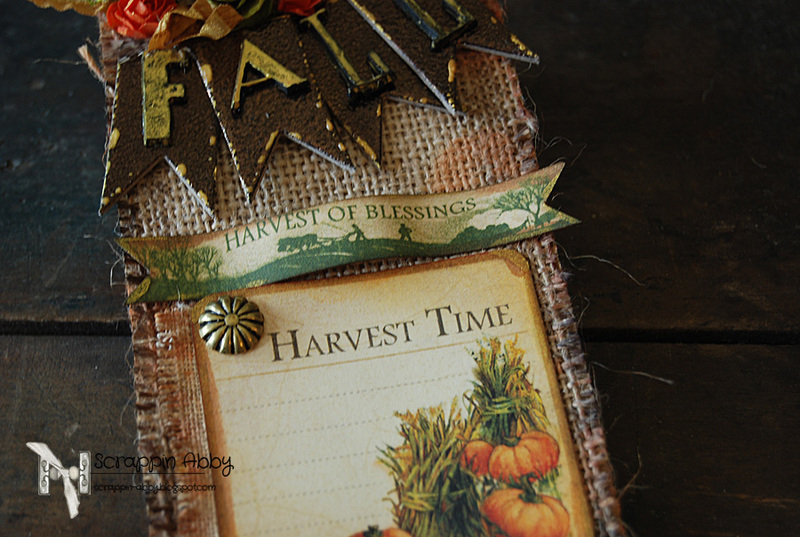 This is fun Fall/Harvest themed tag I created that can be used as a gift tag or you can place it on a 12×12 layout and journal about your Fall photo. 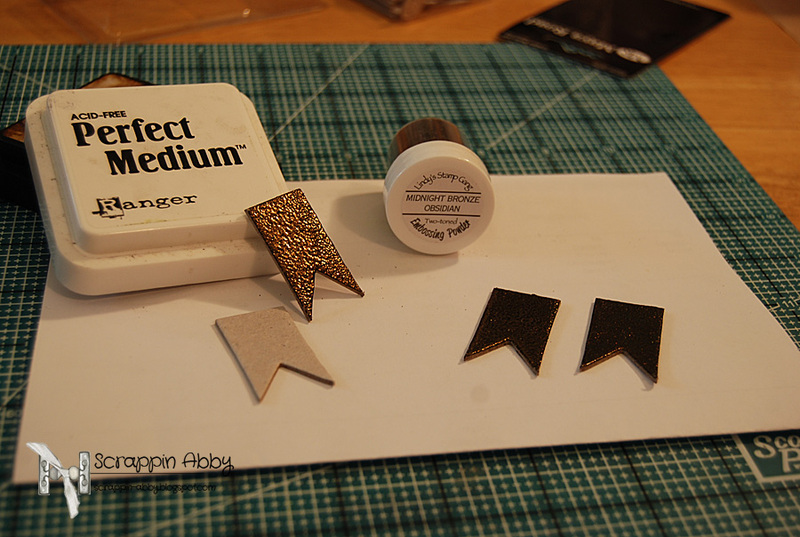 I wanted to add some extra texture and dimension to my chipboard banner pieces so I used some two-toned embossing powder after coating them with some Perfect Medium. 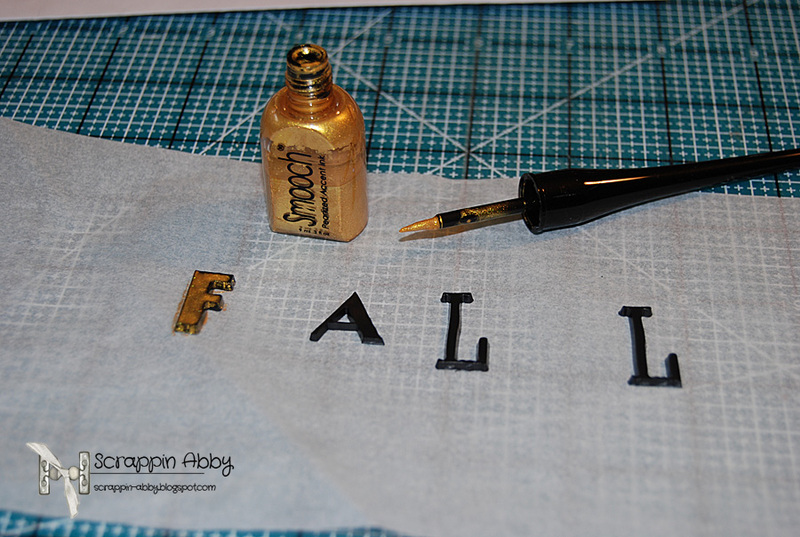 For the letters, I knew they needed to stand out a bit from the embossed background on the banner pieces so I painted them with the Gold Smooch paint. While the letters were drying, I went to work on the tag. 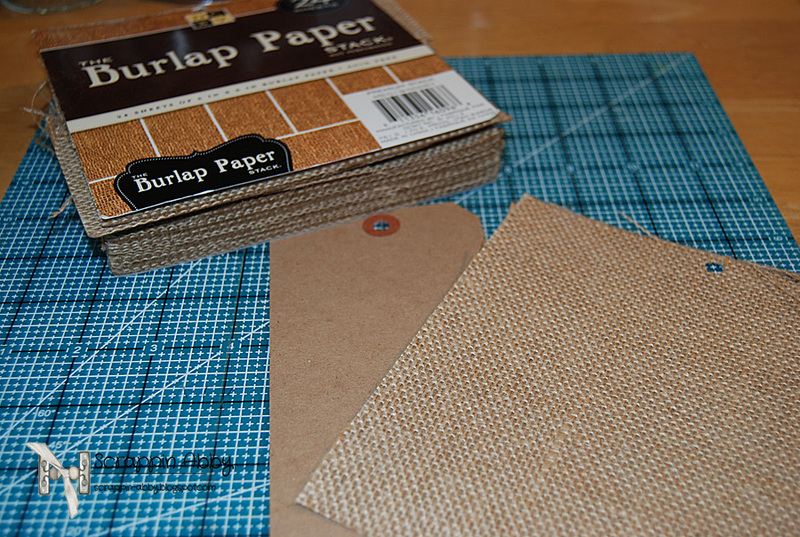 I chose to cover the entire tag with some burlap. 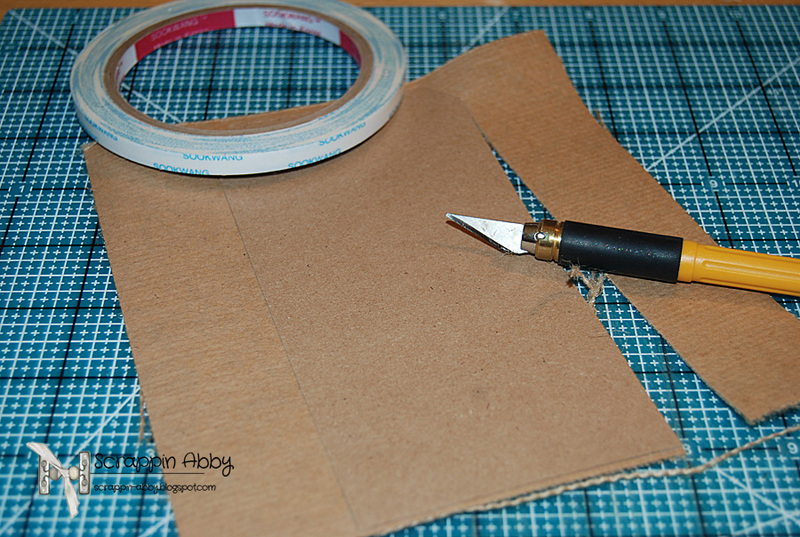 I used Scor-tape to adhere it to the tag and then cut away the excess with my craft knife. 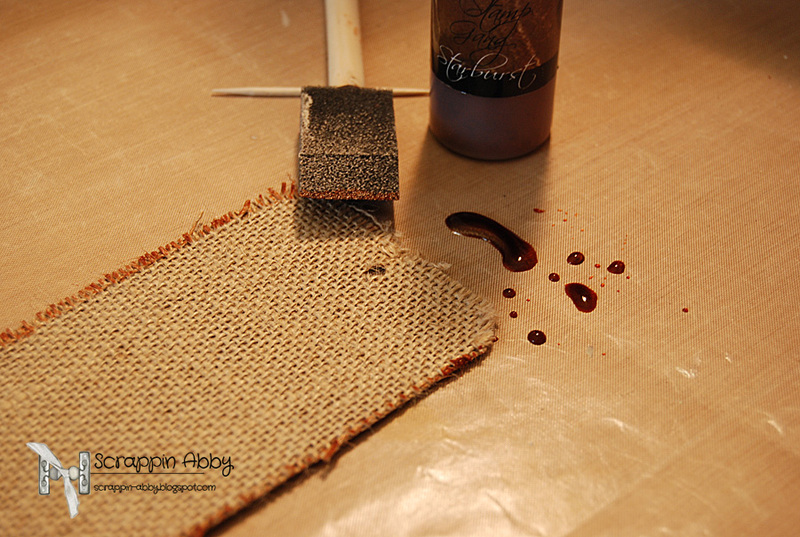 I knew this would give the base of the tag some added texture. 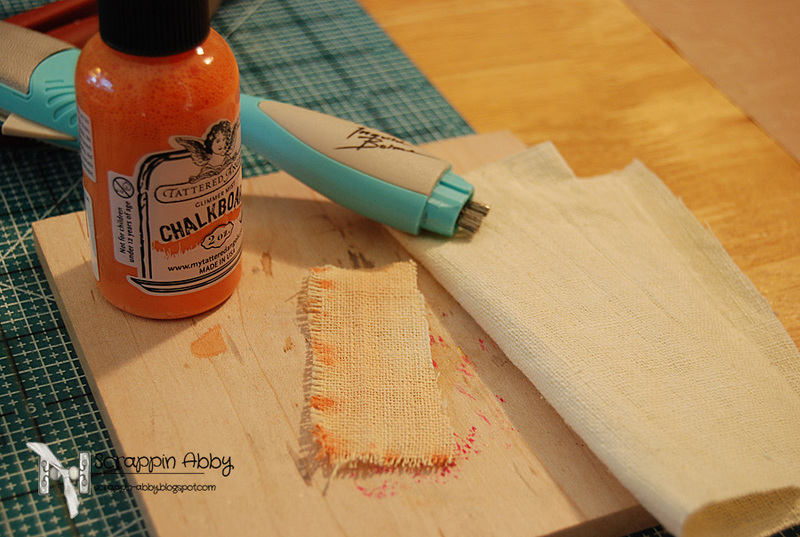 For another texture element, I took some vintage muslin type fabric I had in my stash and sprayed it with some color spray after I distressed the edges with my tool (Insert Step 4 Pic). Before I assembled the tag, I wanted to give it another layer of texture and dimension so I used more of my color sprays and dabbed them on the tag using a brush. This way I had more control of where it went which I wouldn’t have had I just sprayed directly from the bottle. This is where creative play comes in, my favorite part. 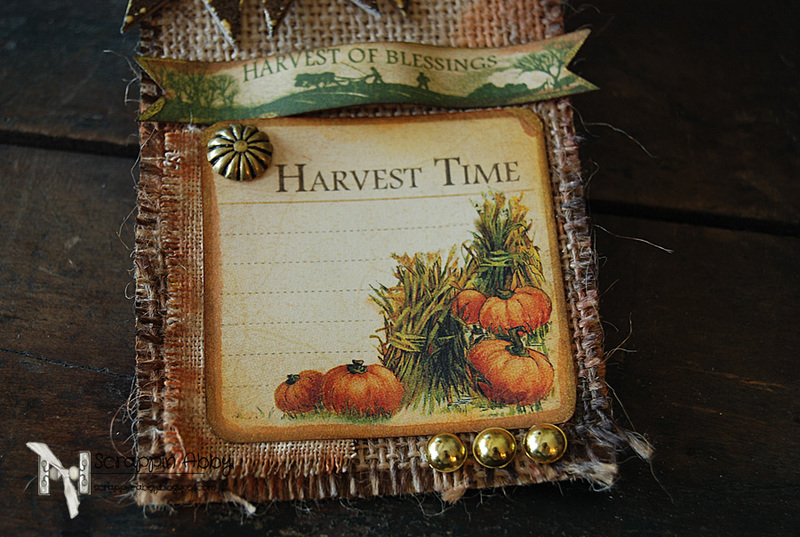 Once all of the letters and elements for the tag were dry, I began layering them on the tag. 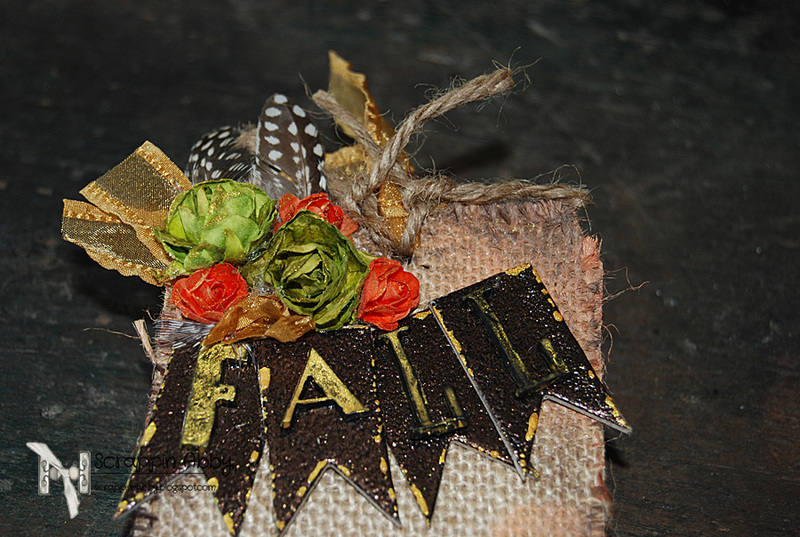 I used a variety of flowers and feathers to add some extra texture and to really tie in the Fall theme I was going for. 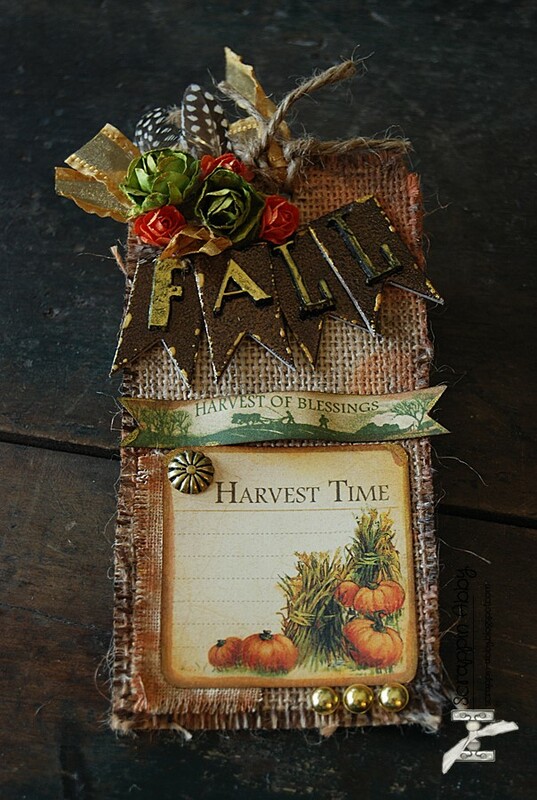 This is a fun project to create that you can either attach to a bottle of wine or a hostess gift or you can simply add it to a 12×12 layout, which is what I will be doing with this tag.